Window washing is a simple way to spruce up any building. The idea that people are more inclined to admire clean and well kept properties is very true, because when we see things in order it makes the residence or business appear more inviting. Window washers Chicago can make all the difference for your home or office. Whether it be a storefront, house, office building, or apartment building, streak free windows will always make a big difference in the appearance of any property. Acquiring that seamless clarity, however, is not always as simple as buying a spray bottle of glass cleaner and gathering old rags. The chemicals bought at your local grocery store will not provide the streak-free clean that you get from commercial grade cleaners, and often high-quality, environmentally friendly options are non-existent. Many times the windows in question are just too tall or vast to clean easily unless you have the proper equipment. In order to get that sparkling shine, as well as reach every ledge and corner, you need to find a professional window washers Chicago. At Prime Time Window Cleaning we have a professional team of reliable employees experienced in outdoor cleaning services. This includes power washing, gutter cleaning, and window washing. Our business is dedicated to ensuring the customer’s satisfaction. When we are hired to do a job, we won’t just arrive on site to wash your windows. We will make certain to use the correct chemicals, the right tools, and come prepared with sufficient equipment to complete the task quickly and efficiently. It does not matter if you have a simple lineup of five bay windows on a Chicago bungalow, or an entire glass building. 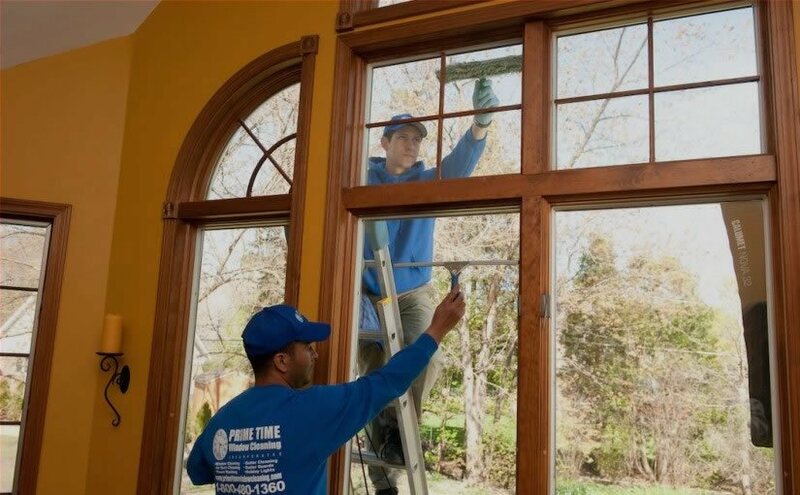 Prime Time Window Cleaning will make your glass glisten and provide you with the type of customer service you deserve. Contact us if you are in need of window washers Chicago. When you are searching for window washing services in Chicago, you want reliable people who know how to do the job, and will complete it in its entirety. That is why Prime Time Window Cleaning is here for you. We have been serving Chicago residents for over twenty years. 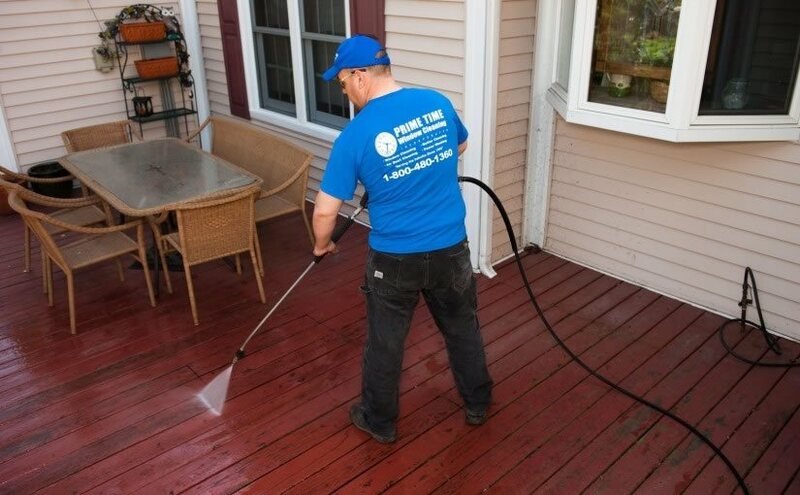 We have earned a reputation for excellence with our valued customers and continue to do so as seasons change and dirt and grime accumulate. Contact us now by calling 1-800-480-1360 to book an appointment. Discover the benefits of hiring the best professional window washers Chicago. You won’t be disappointed.